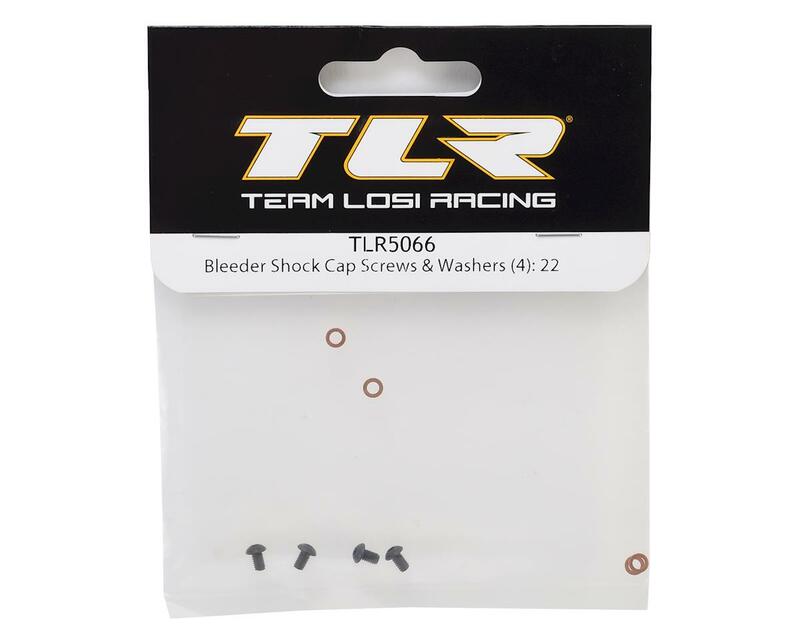 This is a replacement Team Losi Racing Bleeder Shock Cap Screw & Washer Set, and is intended for use with the TLR Bleeder Shock Cap Set (TLR5065 & TLR5062). 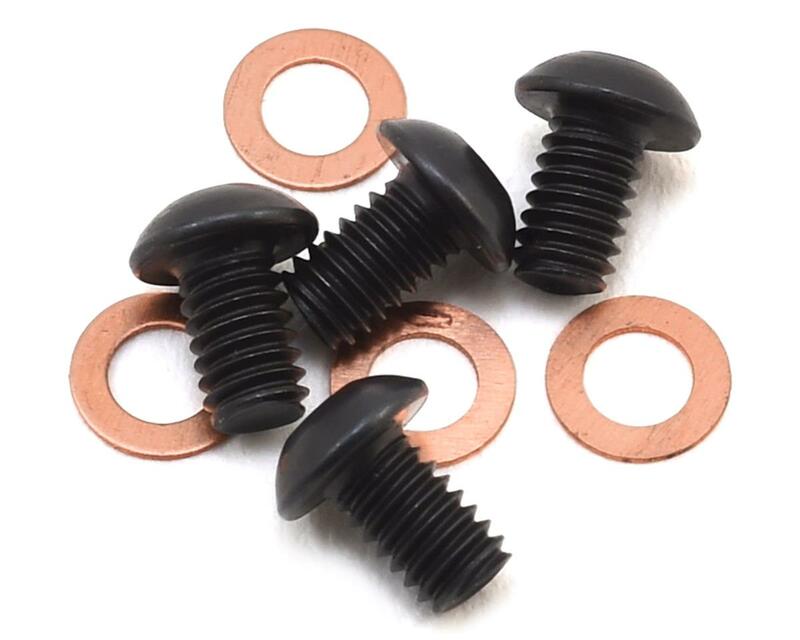 Just wanted to share that the copper o-rings in this part number are GREAT for the Team Associated 12mm Big Bore shocks! They work much, MUCH better than the tiny rubber o-rings that come with the shocks. Give it a shot! NO leaks! These are a must in anyone's toolbox that uses the new shocks caps. I have only had 1 head strip out on me but if I hadn't had these screws and washers I would not been able to race in the main. You do not have to get crazy tightening these screws either. What hex size is fit for the screws?